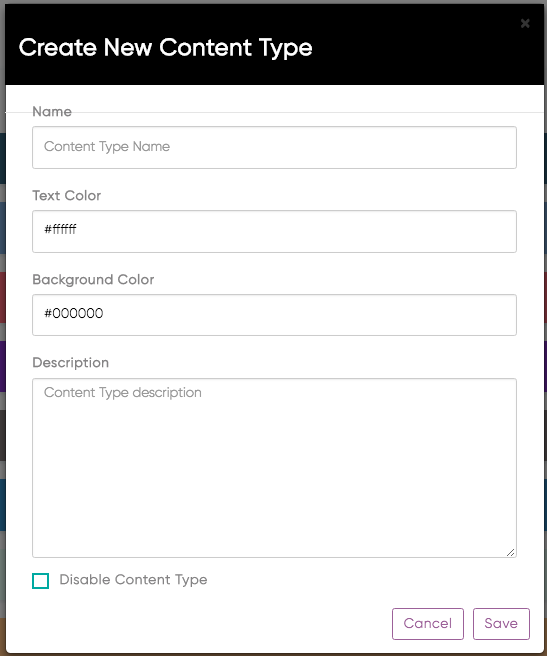 How to add, disable, and remove content types. You can access content types by clicking on Settings → Workflows (this will take you to the content types page). 2. When the pop-up window opens, fill out the information and customize the text and background colour of your choice. 3. Hit 'Save' when done. 1. Go to Settings → Content Types. 2. Hit the Gear icon within the Content Type and a window will open up. 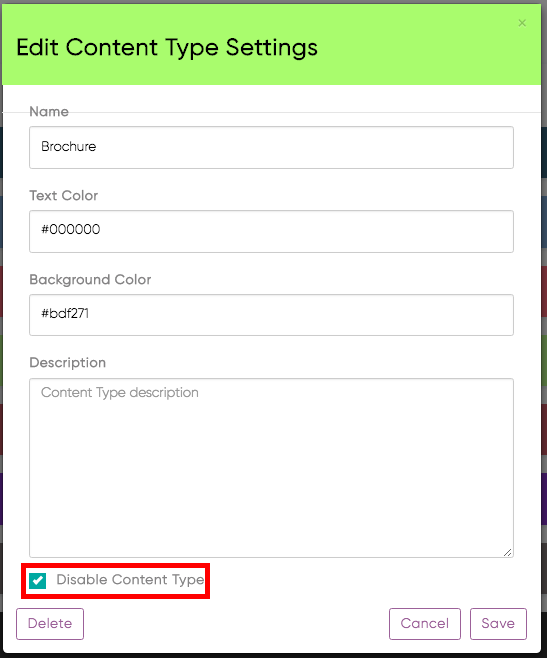 Check the Disable Content Type box - the content type will now be disabled. This content type is now disabled. Why disable? You'd disable the content type as you might use these activities for a later date. 1. Click on the Gear Icon next to the content type you'd like to remove. The content type has now been removed! To see how Content Types are linked to Workflows check out our article on How to Edit Workflows.